The Netherlands’ first operational F-35 has been rolled out in front of government and aerospace industry officials at Lockheed Martin’s facility in Fort Worth, Texas. After being rolled out, the aircraft was ferried to Luke Air Force Base, Arizona, where the F-35A pilot training takes place. 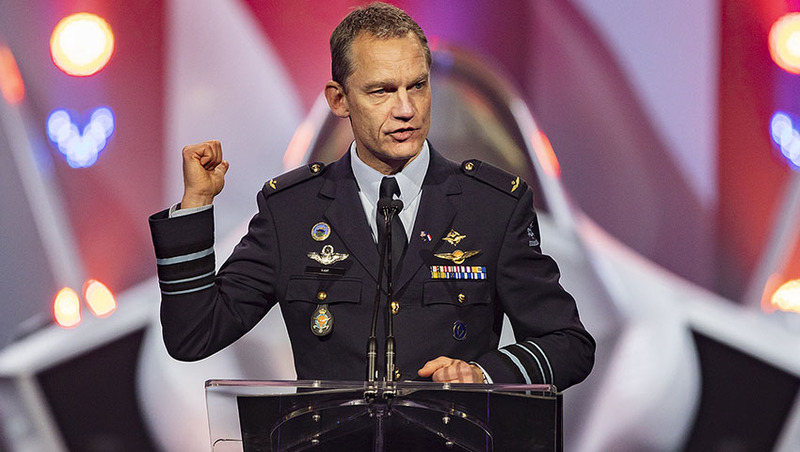 “Receiving this F-35 at Leeuwarden Air Base later this year is going to be a huge driver for change for our air force and will have tremendous impact on the relevance of our Air Force as part of the coalition,” said Lieutenant General Dennis Luyt, Commander, Royal Netherlands Air Force (RNLAF). It’s the third Netherlands F-35 delivered to date, with the first two jets based at Edwards Air Force Base, California, as part of operational testing. The Netherlands was one of the original nine partner nations for the F-35 and was the second international partner to receive the jet. “From the very beginning of the F-35 program, the Netherlands has been a key partner in developing, testing, improving and maintaining this remarkable aircraft,” said Marillyn Hewson, chairman, president and chief executive officer of Lockheed Martin Corporation. The current order from the Netherlands is for 37 F-35 aircraft, with the Dutch Ministry of Economic Affairs estimating that the program has generated more than $1 billion in contracts for the Netherlands industry. Dutch industry is also heavily involved with the production of F-35 parts, with over 3,000 aircraft expected to feature parts from the Netherlands over the next three decades. It’s been nearly three years since the F-35 touched down for the first time on Dutch soil, when the aircraft was showed off to the nation through a series of “experience flights”, which let the public evaluate the difference between the fifth generation fighter and the F-16, especially in noise levels. The roll-out of the Netherlands’ first operational F-35 was livestreamed on YouTube.